Yes, a kitchen remodel can make time in the kitchen not only tolerable, but also enjoyable! How does this miracle occur? 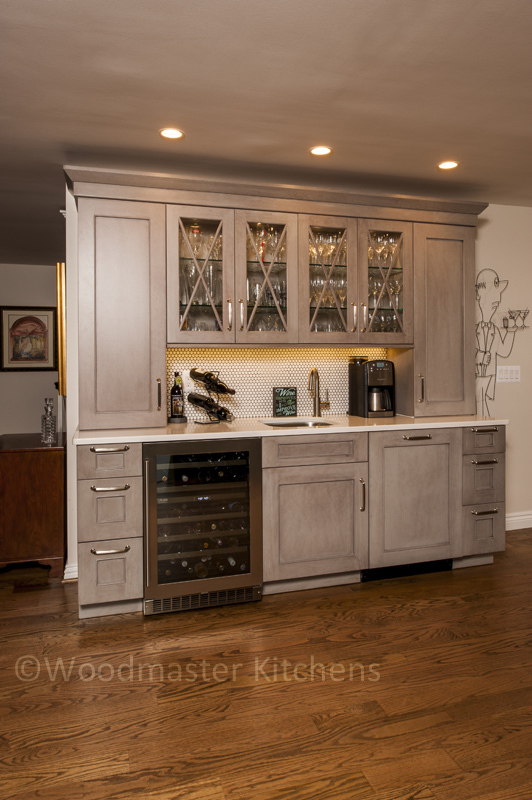 Kitchen design is about more than replacing old kitchen cabinets or outdated appliances. It is about creating a space that integrates with and improves your home and family life. You do much more than just select products when you embark on a kitchen renovation; you create a new and better way of working and living in your kitchen. Yes, you could always get a new oven or update a paint color to freshen up your kitchen, but a new kitchen design goes further than products you can pull out of a box or can. A kitchen remodel offers a fresh way of looking at the kitchen, how it fits in with the surrounding living and dining areas, and how you move and work throughout the room. For example, if you feel like you are tripping over each other in the kitchen when you are cooking and someone else is preparing drinks, change the layout and perhaps add a beverage station. An experienced kitchen design professional will work with you to determine your requirements and maximize how you use your space. The design process does more than apply a formula for kitchen design to your room measurements. It considers your personal tastes, who lives in your home (including kids and pets), who cooks, how often you entertain, how long you plan to remain in your home and until what age, your favorite colors, your preferred view from your house, and much more. It brings together personal aspects of you and your home into a cohesive design that has your name written all over it. 3. Get clean, clear, and organized. There’s nothing worse than a cluttered kitchen where you can’t find anything when you need it. The kitchen design process is the perfect time to address this dilemma by arming your kitchen with ample storage solutions to keep the room clean, your countertops and floor clear, and all your cooking, dining, and food supplies organized and easy to find. 4. Make your kitchen work smarter, not harder. Make the right choices for your design and products, and working in your kitchen will become a pleasure not a chore. Getting the work done in the kitchen is not just about long hours of cooking and cleaning, but also having the ideal tools at your disposal to make the work easier and more enjoyable. 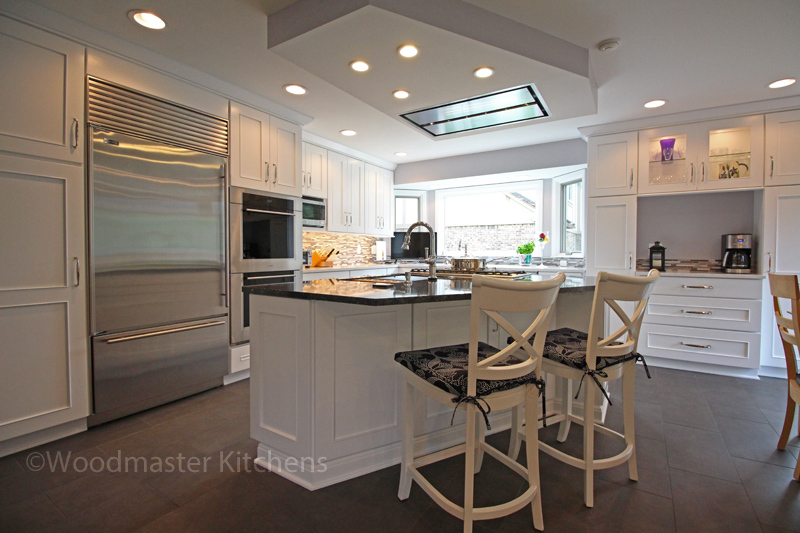 A perfect example of this is the Galley Workstation like this kitchen design in Clinton Township pictured below left. 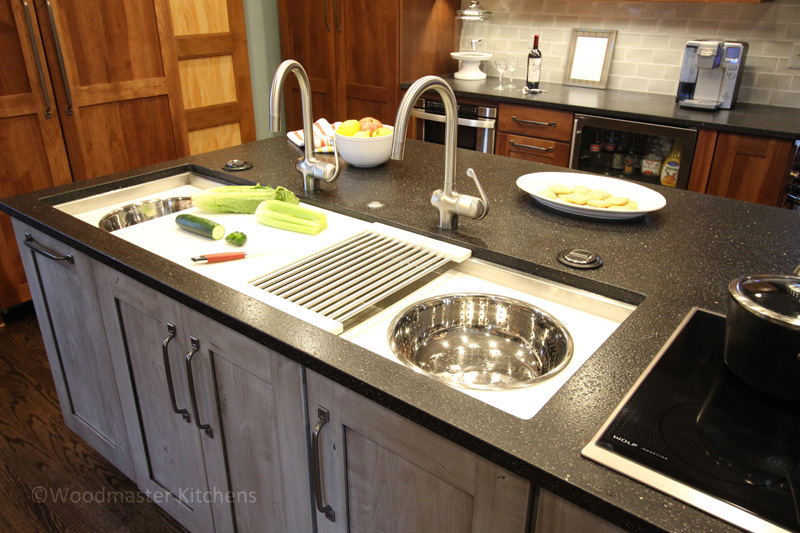 A Galley Workstation takes your ordinary kitchen sink and turns it into a customized solution where you can prepare food, cook, serve, and clean up, all in one location. It is available in sizes ranging from 2’ to 7’, with a wide array of design and accessory options. 5. Take the stress out of a kitchen remodel. A remodeling project can be a stressful prospect, but the kitchen design process and a reliable design team help to take the stress out of this project. A knowledgeable design professional will make sure all aspects of the project are addressed, help you identify the right products and design layout for your space, and work with you on a design and product choices to suit your chosen budget. Talk to a design professional to find out how the kitchen design process will not just update your space, but also help you work and live better in your kitchen.